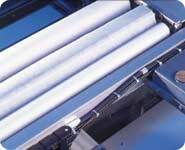 Screen cleaning rolls are essential components in keeping stencil printing machines clean and effective. Individual manufacturers configure their systems differently to use specific sizes and designs of underscreen cleaning rolls. It is imperative that these specifications are replicated exactly when choosing a screen roll. In particular, the quality of the wiping fabric must be sufficient to absorb solder paste and other contaminants, while remaining sufficiently porous for the vacuum unit to function. QTEK screen rolls are made to ensure that manufacturers’ specifications are matched exactly in a variety of custom lengths designed to provide cost-effective solutions to varying vacuum and stencil dimensions. Each are made with the most absorbent and durable wiping fabrics available and are especially low linting. QTEK have teamed up with DuPont to exclusively convert their Sontara Cleanmaster® wiping fabric for use in underscreen cleaning mechanisms. Sontara Cleanmaster® is a non-woven, extra strength material that has excellent wetting characteristics, which make it ideal for absorbing paste, solvents and adhesives. Together, QTEK and DuPont are making this Sontara Cleanmaster® material available for a variety of stencil printer cleaning units and the specially branded paper is clearly distinguishable from its inferior competitors. A list of current screen roll dimensions may be seen below, but custom designs can be made on request. 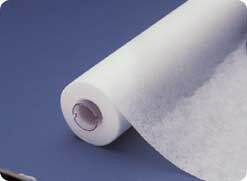 QTEK Ultra Clean Screen Roll using Dupont's Fine Pitch Material is designed for printing processes where maximum cleaning action and zero fibre particle generation are required. Ultra Clean Rolls are made with 100% Lyocel specialty fibres, which is especially absorbent and clean. The knit construction has been developed to ensure product integrity, cleaning performance and low particle generation. QTEK's Ultra Screen Cleaning rolls will not scratch and become even softer when wet, while maintaining their strength. QTEK Ultra Screen Roll will not change any of its physical properties when used with most solvents. QTEK Ultra Screen Cleaning Roll's material features a low level of soluble extractables and has a low electrostatic charge. NOTE: * Denotes the most commonly used screen rolls. The rest are just representative of the range of rolls that QTEK can provide. Please contact us for custom roll requirements. All we need to know is printer type, material width & length and we can do the rest!